One of the most magical things about Disney is that it is true special for the whole family. You can travel with a baby, grandparents, and everyone in between and there is something for everyone to enjoy – and yes, aside from parades and shows there are even attractions at Disney for the whole family. Peoplemover – a slow moving tour above Tomorrowland. Railroad – Walt Disney was a huge fan of trains, so a train ride around Magic Kingdom is great for everyone. Monsters Inc. Laugh Floor – This interactive show with Mike Wazowski includes audience interaction and lots of great humor. Mad Tea Party – It might be debatable if parents can handle the spinning on this one, but kids love it! Winnie the Pooh – A fun exploration through the Hundred Acre Wood with Pooh and friends! Prince Charming’s Carousel – a classic carousel where all the horses are jumpers so everyone feels special. Dumbo – This is an iconic Disney attraction. Riding in Dumbo is sure to make you feel like a kid again. Under the Sea – experience the story of The Little Mermaid while riding in a clam shell under the sea. Enchanted Tales with Belle – Lumiere tells an interactive story about how Belle and the Beast met, where people from the audience play the roles! Mickey’s Philharmagic – a fun 3D film that takes you through various favorite Disney movies such as Aladdin, the Lion King, and Peter Pan. Peter Pan’s Flight – soar above Neverland to see mermaids, pirates, and Peter himself. 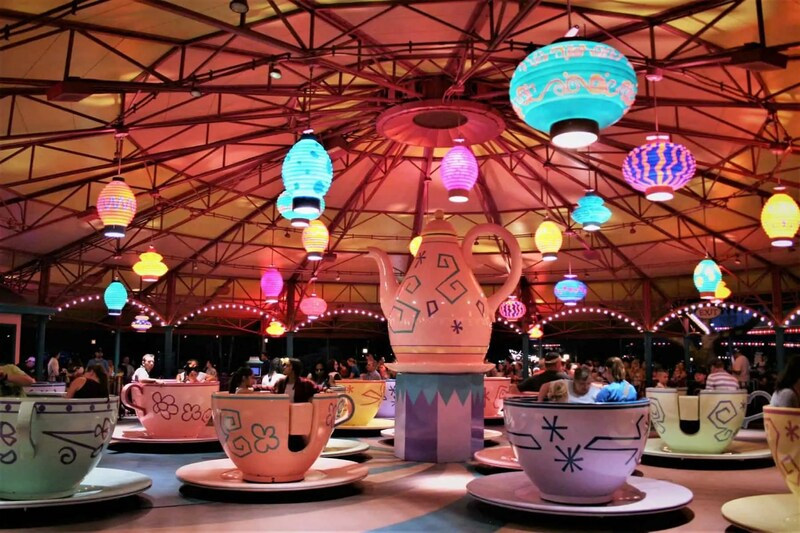 It’s a Small World – take an “international” boat ride through different countries. Jungle Cruise – sail past animatronic animals while your skipper makes corny jokes. The Enchanted Tiki Room – enjoy the singing of the animatronic tiki birds in this tropical hideaway. Nemo and Friends – head into the big blue ocean with Nemo and his buddies, with an interesting mix of cartoon fish and real aquarium fish. Frozen Ever After – take a boat ride through Arandelle to see Anna, Elsa, Olaf, and all of their friends. Gran Fiesta – this boat ride is in the Mexico pavilion, where the three amigos takes you through the culture of Mexico. Spaceship Earth – experience the history of communication on Spaceship Earth – being inside the “big silver ball” is always a draw for kids, and you can learn some interesting things here! 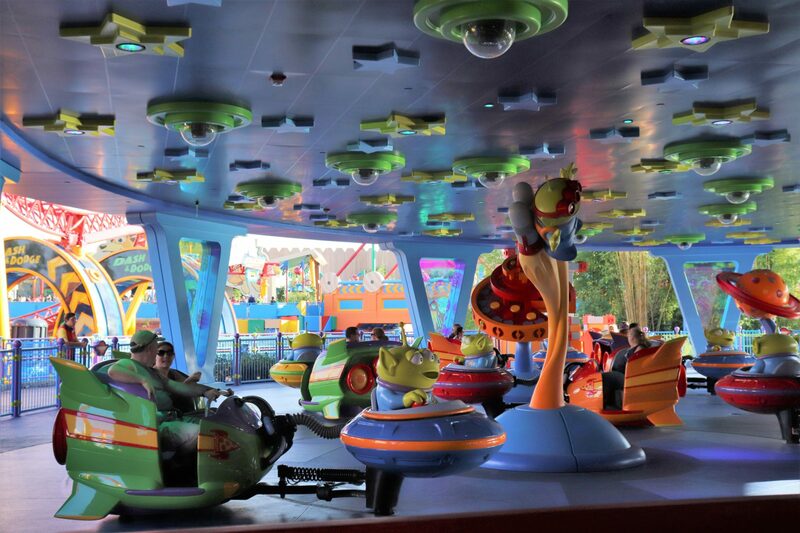 Alien Swirling Saucers – one of the new attractions in Toy Story Land, you can ride around with the aliens! Beauty and the Beast live on stage – experience a live performance of Beauty and the Beast in 30 minutes, with talented performers, beautiful costumes, and fun special effects. MuppetVision3D – laugh out loud when the Muppets attempt to create their own 3D movie for you. Fantasmic – a grand spectacular at the end of the night, Fantasmic features a fountain show, fireworks, and many of your favorite Disney characters. 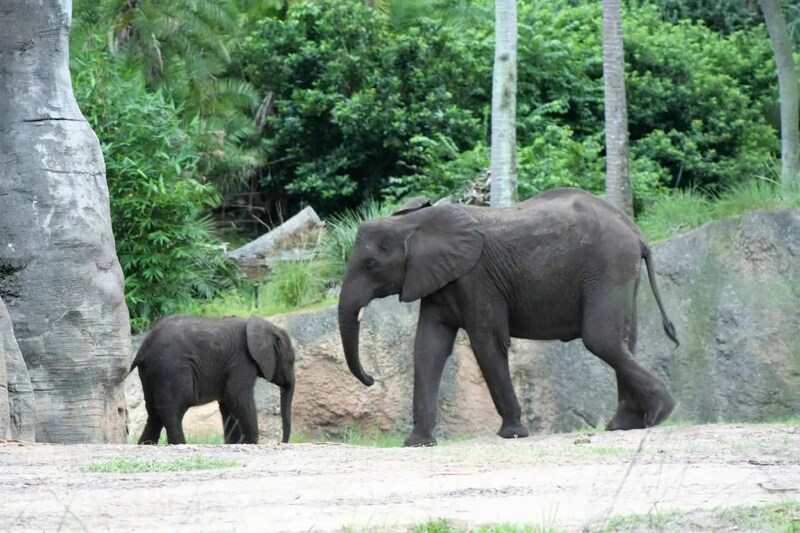 Kilimanjaro Safaris – see many live animals out on the safari, including giraffes, elephants, rhinos, and more! Na’vi River Journey – take a beautiful boat ride through Pandora with its biolumniscent plants and wildlife. Festival of the Lion King – a brilliant live performance that includes acrobatics, fire dancing, and of course your favorite songs from the Lion King! Finding Nemo the Musical – see the story of Finding Nemo told in 40 minutes live on stage with talented performers and impressive puppetry. What are your favorite attractions at Disney for the whole family?